Ross Sport was founded in 2006 by Ross Walker. Ross has been a passionate Japanese car fanatic since the early 90s, graduating up through many Japanese Sports Cars. However when he got his first Evo he was completely smitten with the entire package. Even to this day nothing similar has ever been produced by any manufacturer!! Ross Sport was originally born out of the need to develop new parts to further improve the Evo. Initially Ross was producing these this for his own car and for fellow enthusiasts, but it quickly grew in to a small business and the rest was history! Ross's involvement with Evo motor sport, together his will to take the Evo platform further and further in terms of its performance has led to a number of notable record achievements which still stand today. 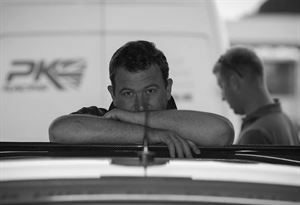 In 2011 Gavin Taylor joined the the Ross Sport Team, bringing a wealth of knowledge on the OEM parts side, together with his extensive experience in aftermarket Evo parts. Ross Sport's mission is to provide proven quality parts, & the finest customer service and technical support in the industry.